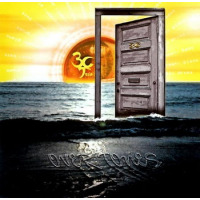 "The 3C Trio’s 'Over Tones' is a superb CD that meets an extraordinarily high standard. 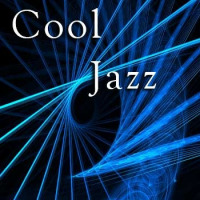 The repertoire is exceptional; the interplay between pianist Andy Wasserman, bassist Lisle Atkinson, and percussionist Joe Licinski sensitive, complex, and sublime. Highly recommended for anyone who appreciates thoughtful, intelligent musicianship!" 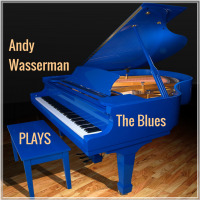 As of 2019, musical artist, Jazz pianist and native New Yorker Andy Wasserman continues to draw on an astonishingly diverse range of experience in the world of music since becoming a full-time professional musician in 1971. Throughout his career as a multi-instrumentalist, performer, composer, arranger, recording artist, producer and educator, Wasserman has had the privilege of being mentored by three of the finest musicians on the planet - Dwike Mitchell, George Russell and Papa Ladji Camara. In his youth he attended the High School of Music and Art (drums, orchestral percussion) and the Metropolitan Music School (piano and theory) in Manhattan and earned his Bachelor of Music in Jazz Studies (composition and theory) from New England Conservatory of Music in Boston. His 10+ years of private study with master pianist Dwike Mitchell (one-half of the internationally acclaimed Jazz group The Mitchell-Ruff Duo) paved the way for Andy's extensive work as musical director and accompanist for Jazz Tap Dance Festivals, and influential Jazz tap dancers that include The Copasetics (Cookie Cook, Honi Coles, Bubba Gaines, Buster Brown, Ernest Brownie Brown and Gip Gibson), Savion Glover, Jimmy Slyde, Dianne Walker, Jane Goldberg, Jason Samuels, Sam Weber, Fayard Nicolas, Brenda Buffalino, Katherine Kramer, Robert Reed and Nicole Hockenberry. In addition to working with dancers, Andy Wasserman has played in a myriad of New York City clubs as soloist and accompanist. He was contracted through the American Federation of Musicians Local 802 for a continuous nine-year engagement as the resident solo jazz pianist every Friday & Saturday night and Sunday Brunch at the Ambassador Room of the United Nations Plaza Hotel in New York City from 1987-1996. Wasserman began working with legendary composer, band leader, theoritician and NEA Jazz Master George Russell at New England Conservatory of Music in 1979. After a few years of private study, Russell enlisted Andy to serve as his substitute instructor at the Conservatory for his classes in the Lydian Chromatic Concept of Tonal Organization ( LCCOTO ) when Russell was on international tours with his band, The Living Time Orchestra. Andy continues to act as an editorial assistant and seminar leader in George Russell's Concept and is one of only a handful of people authorized by Russell to teach 'The Concept' in it's entirety. Wasserman is currently the only certified Lydian Chromatic Concept of Tonal Organization teacher in the New York/New Jersey/Connecticut tri-state area where he conducts clinics and gives private lessons. He worked under Mr. Russell's direction for 20 years on the 2001 fourth and final edition of George Russell's Lydian Chromatic Concept of Tonal Organization; Volume One - The Art and Science of Tonal Gravity - currently available for purchase from Russell's estate (Concept Publishing) on Amazon. Andy teaches the LCCOTO via video conferencing to students around the world who wish to further their pan-stylistic studies as improvisors, arrangers, composers, instrumentalist performers and music theory analysts. Wasserman's primary aim is to maintain the integrity, authenticity and purity of George Russell's life's work by dedicating the transmission of its invaluable innovation explicitly as Russell and his wife Alice Norbury Russell intended it to be shared - thereby respecting and honoring his monumental legacy for future generations. Andy's mentoring with Papa Ladji Camara (Guinea, West Africa) - master drummer of the original Les Ballet Africain de Keita Fodeba - lasted from 1998 - 2004. This work was a culmination of Wasserman's ethnomusicological studies that began in the early 1960's when Andy was a young boy starting his collection of musical instruments from Africa. He went on to incorporate world music into many artistic projects from the early 1970's to the present. His work in West African, Asian, Middle Eastern, Native American, Latin, South American and Afro-Cuban stylistic genres inspired his creation of participatory multi-cultural productions that have been presented in performance, master class, artist-in-residence and workshop venues at over 2,000 festivals, schools, colleges and universities, museums and various public and private institutions since 1979. He currently tours regularly, spreading his message of global unity and healing through music with his original solo presentations Making Music From Around the World, Instruments: Ancient to Future, Music: The Voice of Unity, Beat of the Blue Planet, and Voyage to BongoLand utilizing the 140 traditional acoustic ethnic wind, string and percussion instruments alongside a studio filled with electronic instrumentation from his personal collection. 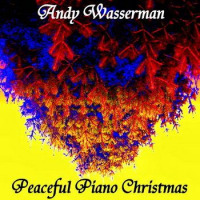 Wasserman's original compositions, arrangements, piano and multi-instrumental performances on many recordings and soundtracks for TV, Radio and Film productions have appeared on the NBC, CBS and ABC networks, as well as Cable TV stations that include A & E, The Lifetime Network, History Channel, Travel Channel, TBS, Nickelodeon, Turner Network, Learning Channel and internationally - in countries that include Japan, Argentina, Canada, Hong Kong, Italy, Finland, the Netherlands, Norway, Ireland, Australia, Brazil and France. His latest Jazz trio CD release is OVER TONES featuring the sound of THE 3C TRIO, a classic musical collaboration of subtle intimacy and ultra-sensitive spontaneous communication with Wasserman on piano, world-class jazz veteran Lisle Atkinson on bass and master drummer Joe Licinski. 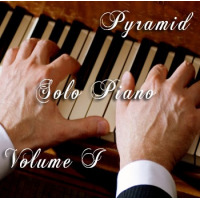 Additionally, his unique and sophisticated thematic solo piano work has been produced on special edition TV/Film Music Library CDs as composer, arranger and instrumentalist, distributed around the world by both the Pyramid Music Library (SOLO PIANO, Vol. 1) and the TWI North American Library (SOLO PIANO, Vol. 2) through licensing deals with BRG Music Works. 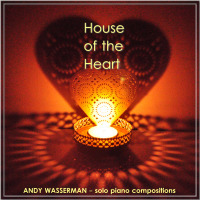 Wasserman's publishing company Andrew Roy Music has a current catalog of 35 of his original compositions that have been recorded and released for worldwide distribution. BMI maintains a catalog of 73 published works with Wasserman as songwriter & composer. Wasserman entered into Digital Distribution beginning in June 2007 with licensing to Apple iTunes, E-Music, Amazon.com, GreatIndieMusic, PayPlay, GroupieTunes, Napster, Tradebit, MusicIsHere, BuyMusic, SNOCAP and Verizon. Wasserman is the founder and president of TransMedia Sound & Music, a production company that facilitates his wide range of production activities, from in-house scores and digital editing & mastering to multimedia content development. Corporate clients since 1987 have included AT&T, IBM, Panasonic, Mastercard, Sanofi-Winthrop Pharmaceuticals, Atlantic Mutual Insurance, Prentice-Hall, The Mayo Clinic, Castrol Motor Oil, Altered Image, Time-Life Music, Digital Cable Radio, New York Communications and Prime Productions. 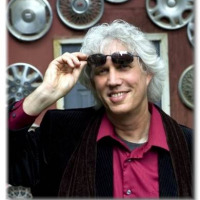 Andy has been creating digital media since the late 1980's and was a co-creator and co-producer of 'Beat of the Blue Planet' a 1995 ground-breaking interactive world music CD-ROM produced for Opcode Interactive. 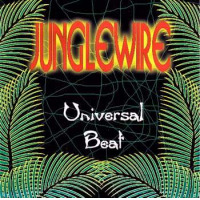 Additionally, TransMedia Sound & Music - his own independent record label founded in 2007 - functions as a charitable organization through the production and distribution of world music recordings, raising money for underfunded programs that assist indigenous peoples from around the world. 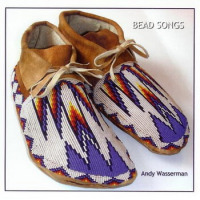 Andy Wasserman has been exploring and utilizing many therapeutic and healing modalities of music since 1974. He was recognized for his work in this field by the American Association of Artists-Therapists based on the sound and music healing workshops he conducted in private and public institutions serving a wide spectrum of special needs audiences. He was also enrolled in the Music Therapy Department of Graduate Studies at New York University in 1984. As of 2019, Wasserman's current activities include a private teaching roster of 30 students per week (in person and online via video conferencing) from his base in New Jersey, along with concert performances, club dates, arts-in-education workshops, and providing certified instruction in George Russell's Lydian Chromatic Concept of Tonal Organization ( LCCOTO ) to musicians around the world. * Private music teacher with 30 years experience; current roster of 30 students per week. In person in New Jersey and around the world via Skype video conferencing. Specializing in the LCCOTO by George Russell. * Conducted master classes, workshops, teacher-training and assembly concerts as an arts-in-education curriculum specialist in over 2000 schools, servicing over one million students and teachers since 1979. * Certified Instructor of George Russell's Lydian Chromatic Concept of Tonal Organization (LCCOTO). Wasserman's primary aim is to maintain the integrity, authenticity and purity of George Russell's life's work by dedicating the transmission of its invaluable innovation explicitly as Russell and his wife Alice Norbury Russell intended it to be shared - thereby respecting and honoring his monumental legacy for future generations. Clinics available in the LCCOTO : George Russell's LYDIAN CHROMATIC CONCEPT OF TONAL ORGANIZATION for composers, arrangers, improvisation and music theory students. I am authorized and certified to teach "The Concept" by George Russell. I have created and conducted music clinics for dancers with a five-day seminar and book/CD entitled "MUSIC FOR DANCERS" which focuses on Jazz and Tap dance and can be applied to any dance style or format. This clinic has been offered at Dance Festivals around the U.S.
All About Jazz musician pages are maintained by musicians, publicists and trusted members like you. Interested? 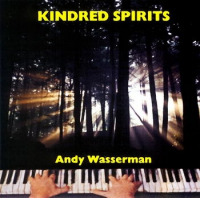 Tell us why you would like to improve the Andy Wasserman musician page.